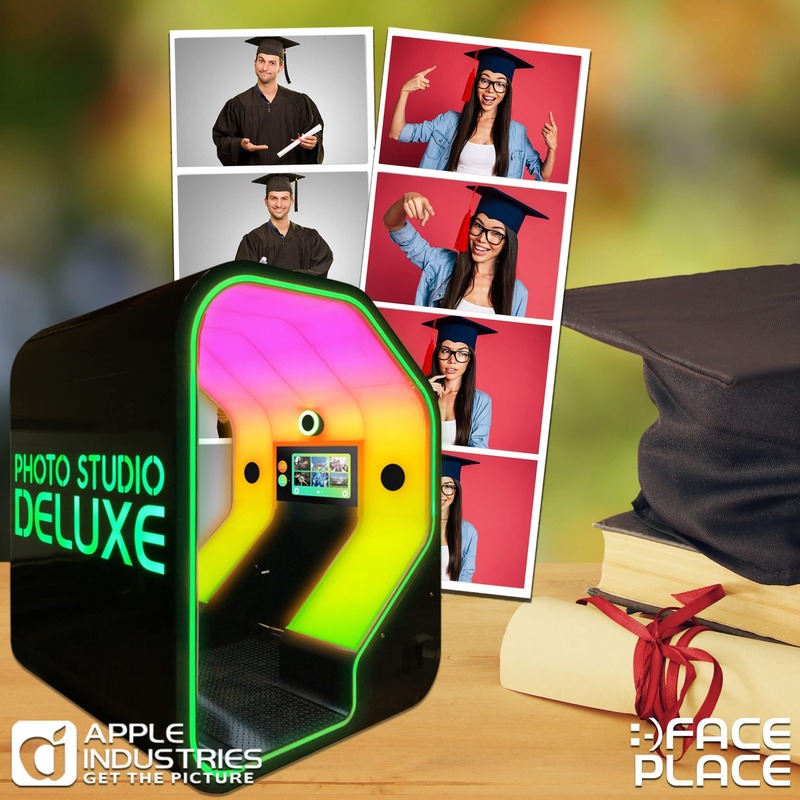 There are some coin-operated amusement products that were tailor made for certain events, and that is definitely the case with photo booths and graduations. Whether it be college or high school graduations, the presence of a photo booth consistently enhances the fun everyone is having and turns your graduation party into an event to remember. A group selfie with a smartphone is blurry, uneven, and always done in bad light. At a graduation party, you want to remember your fun evening with pictures that are clear and easy to see. A photo booth is the very best way to create perfect group pictures that everyone can treasure for years to come. The lighting is perfect, the quality is the highest available, and everyone gets the chance to be in the picture no matter how many people there are. One of the reasons people take out their smartphones at a graduation party is to take pictures they can share on social media. But when the majority of responses they get for their pictures are statement such as “Who is in that picture? or “What is that?’, then it is time to change the way you take pictures. A photo booth is the only way to take graduation pictures that you can share on the Internet and really show your social media followers the great time you had. You can share your pictures on any platform, and the clarity of your images will make it easy for everyone to see what is going on. Face Place photo booths come with Smile 2.0 software that has a very simple editing program your guests can use to dress up their pictures any way they like. When it comes right down to it, photo booths and graduation parties go together like peanut butter and jelly because photo booths are so good at capturing the moments graduation parties create. The clarity of the images a photo booth creates coupled with the easy-to-use editing software means that party attendees can get great images they can use to remember that party for years. Face Place photo booths even allow users to put their images on t-shirts and coffee mugs that they can have with them for a long time to come. A photo booth is the ideal way to capture an important moment and turn it into a fun and memorable image. A graduation party is a milestone event that puts emphasis on the accomplishments a person has made in their life. When you bring together a photo booth and a graduation party, you are sure to get images that will capture the memories of a lifetime.